Despite a year wrought with international trade conflicts, research from the University of Tennessee Institute of Agriculture indicates overall strength in the state’s agri-forestry industrial complex. Detailed analyses from the Department of Agricultural and Resource Economics are included in the 2019 Economic Report to the Governor of the State of Tennessee released by the Boyd Center for Business and Economic Research at UT’s Haslam College of Business. The agri-forestry industrial complex encompasses the supply chain from farm and forest to consumers of the end products and is a vital part of the state’s economy. Accounting for multiplier effects, the complex adds $81.8 billion to Tennessee’s economy and accounts for more than 351,000 jobs. 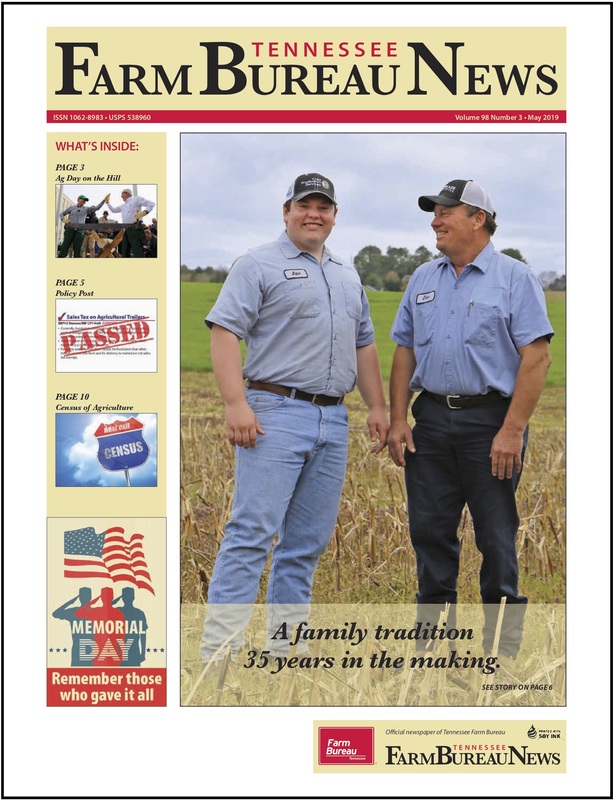 The state’s 65,900 farming operations include 10.8 million acres, approximately 40 percent of the state’s nearly 27 million acres of land area. 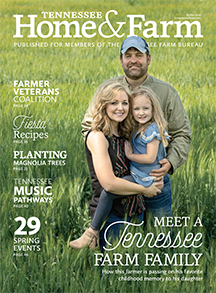 Tennessee ranks eleventh in the nation in number of farming operations. Agriculture, with multiplier effects, accounts for 9 percent of the state’s economy and generates $57.6 billion in output, adding nearly 250,000 jobs, with 96,000 employed directly in agricultural production. Commodities drawing the highest cash receipts are soybeans, followed by cattle and calves, broilers, then corn and cotton. The 2017 value of cash farm receipts from crops and livestock in Tennessee was more than $3.53 billion, with $1.41 billion from animals and $2.13 billion from crops. Despite increased meat production and the negative influence of trade issues, calf and feeder cattle prices in Tennessee through the first nine months of 2018 increased 5.7 percent and 3.6 percent, respectively, compared to the same time frame a year ago. 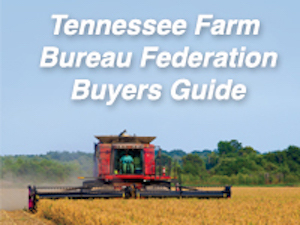 Tennessee’s four largest row crops are corn, cotton, soybeans and wheat. In 2018, the state’s harvested acreage for row crops were comprised of 1.67 million acres of soybeans, 690,000 acres of corn, 360,000 acres of cotton, and 290,000 acres of wheat. Trade restrictions/tariffs with China have a negative impact on the prices Tennessee producers receive for their commodities. Soybean prices are 22 percent below the five-year average and forecasted exports indicate an $800 million to $21 billion decline, in large part due to weakening demand from China. However, government payments through the Market Facilitation Program will help stabilize producer incomes for 2018 through 2019. The state experienced notable growth in farmers markets, community supported agriculture, wineries, agritourism, the green industry, and hemp production. Also, the value of shipments for food and beverage manufacturing rose again in 2016, as did the value of shipments from the forest products sector. ARE researchers responsible for the agri-forestry analyses include Kimberly Jensen, Jamey Menard, Burton English, Andrew Griffith, Andrew Muhammad, David Hughes, Aaron Smith, Edward Yu and Emily Greear. The complete economic report to the Governor is prepared by Matthew Murray and the Boyd Center for Business and Economic Research at UT’s Haslam College of Business. The full report is available online.